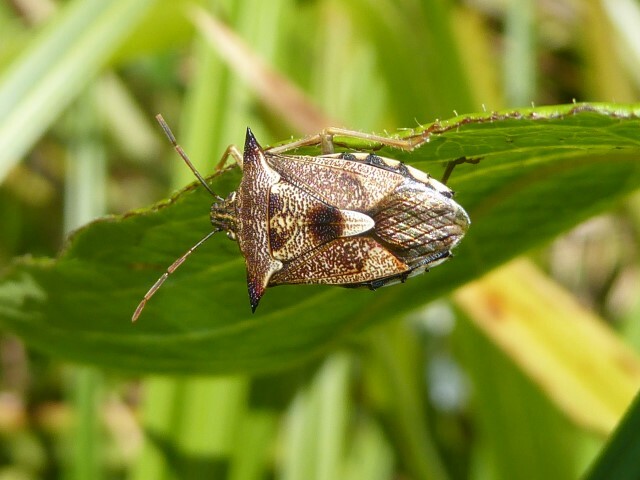 This is a list of the stink bugs species in New Zealand, along with an image and some general notes about their biology. I’ve been rearing all of these species with the exception of Cermatulus nasalis turbotti, a subspecies restricted to the Three Kings Islands. Most of the information presented here comes from the fantastic series of factsheets hosted on the Landcare Research website here. These factsheets have been compiled by Nicholas Martin, a researcher at Plant & Food Research. 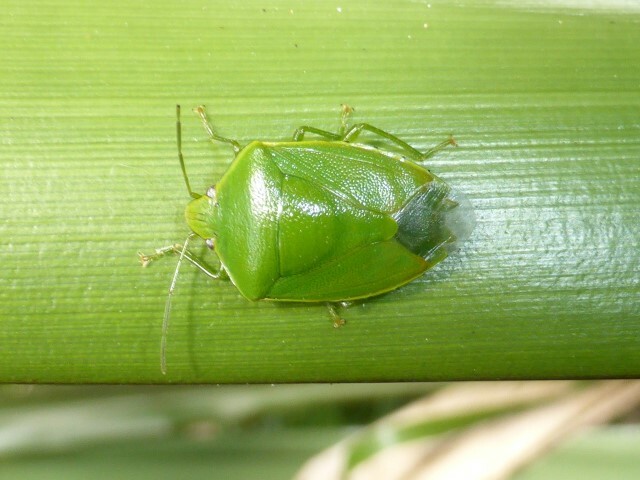 I recommend looking at these factsheets for a more through description of their biology, and to see more images of the eggs and nymphs (younger stages). 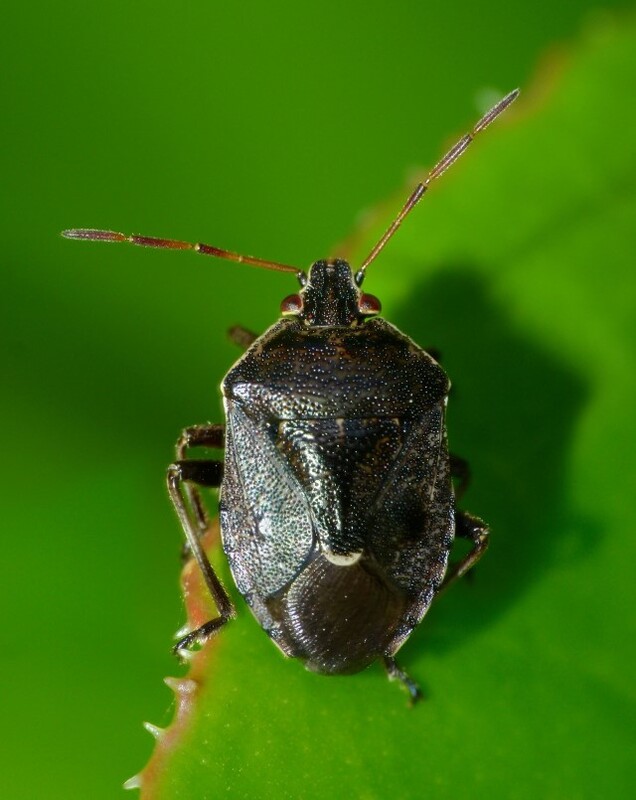 For a more in-depth review of NZ stink bugs, check out volume 35 of the Fauna of New Zealand series hosted by Landcare Research. Image copyright Plant & Food Research. Taken by Nicholas Martin. Used with permission. Found nowhere else in the world. Virtually nothing is known about it’s biology. I collected this species in December, 2017. This is the first time it has been reared in captivity. Found in NZ, Australia & Timor. 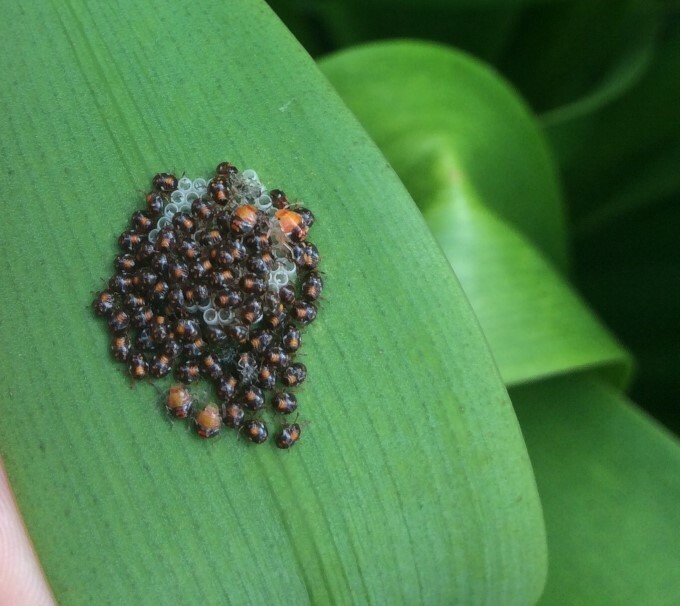 Considered a beneficial species as it feeds on caterpillars that damage cultivated plants. An endemic subspecies of C. nasalis nasalis found only in NZ. Image from Fauna of New Zealand 35 (1995) by Marie-Claude Larivière (CC-BY 4.0 via Landcare Research). An endemic subspecies of C. nasalis nasalis, found only in NZ. Restricted to the Three Kings Islands. Found in NZ & Australia, similar to C. nasalis nasalis in being a beneficial predator. 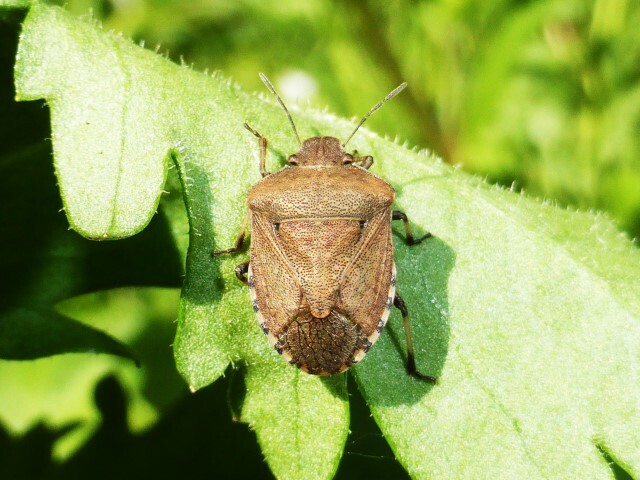 Sometimes reported as a minor pest on blackberries but usually found on English plantain and other grasses. No records of pest activity, sometimes found on Coprosma species. Genus commonly misspelt as Montiethiella. 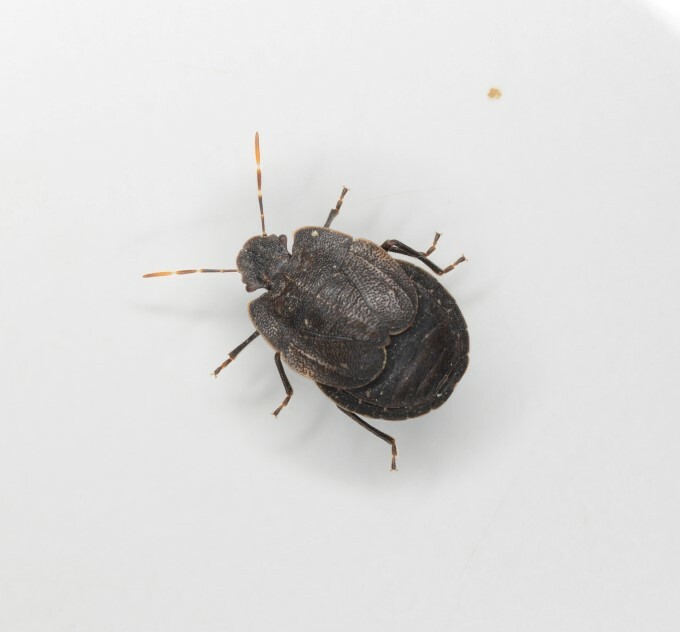 Found in NZ & Australia, no records of pest activity. 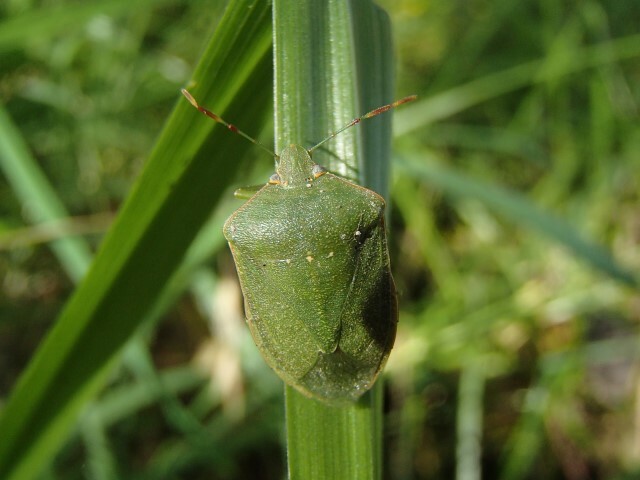 Rounded ‘shoulders’ and glossy body help to distinguish it from other green species in NZ. Feeds on the nightshade family including potatoes, tomatoes, and species in the genus Solanum such as black nightshade. Pointy ‘shoulders’ help to distinguish it. Three dots on it’s back help to distinguish it. 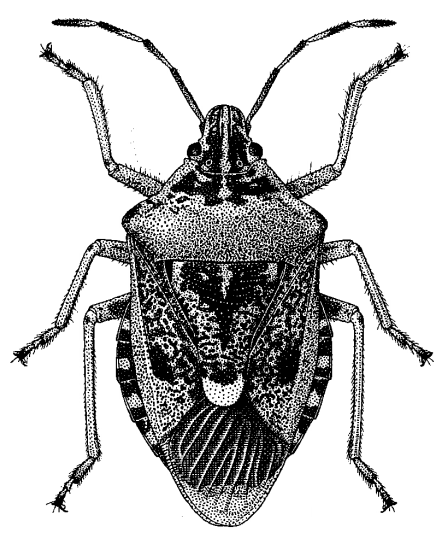 A widespread, global pest of cultivated crops. 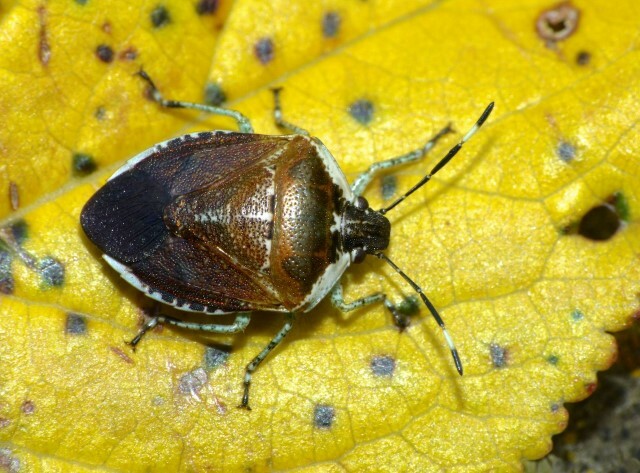 A sporadic pest in New Zealand’s warmer areas on fruit and vegetables. Damage has declined following the introduction of a natural enemy in 1949 (Trissolcus basalis, I’ve uploaded an image of this tiny wasp to iNaturalist here). 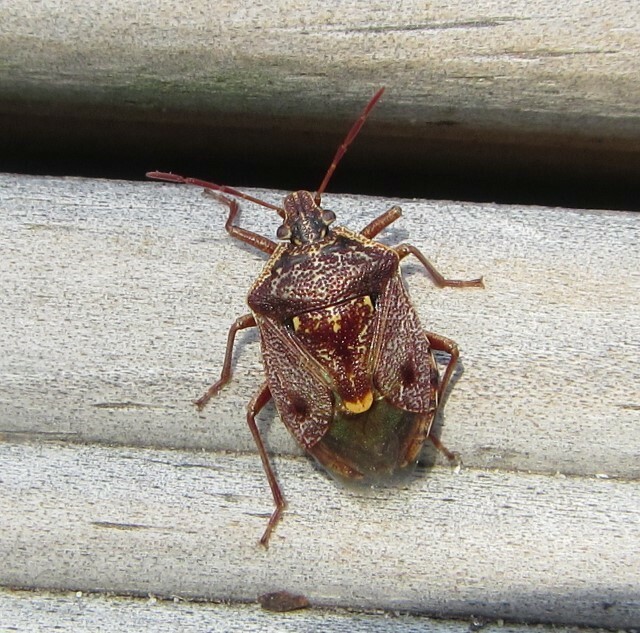 Our tour of New Zealand stink bugs concludes. Have any questions about these critters? Feel free to ask in the comments or tweet to me @TomSaundersNZ. Do we know their barcoding sequences (COI or 18s rRNA or ITS regions) yet?